Oh my heart! 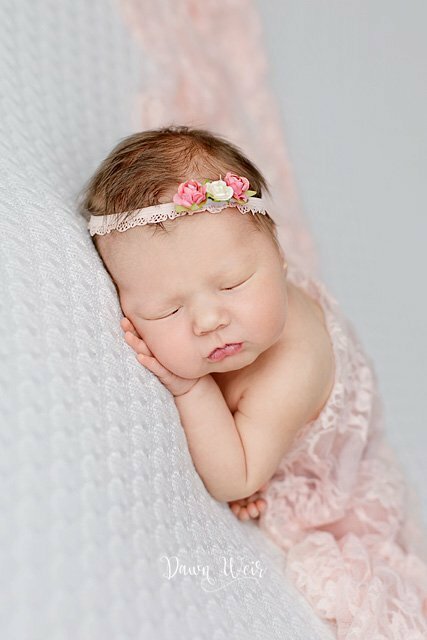 After doing this Edmonton newborn photography session with a gorgeous little girl like Sophie, I just want to have more babies! 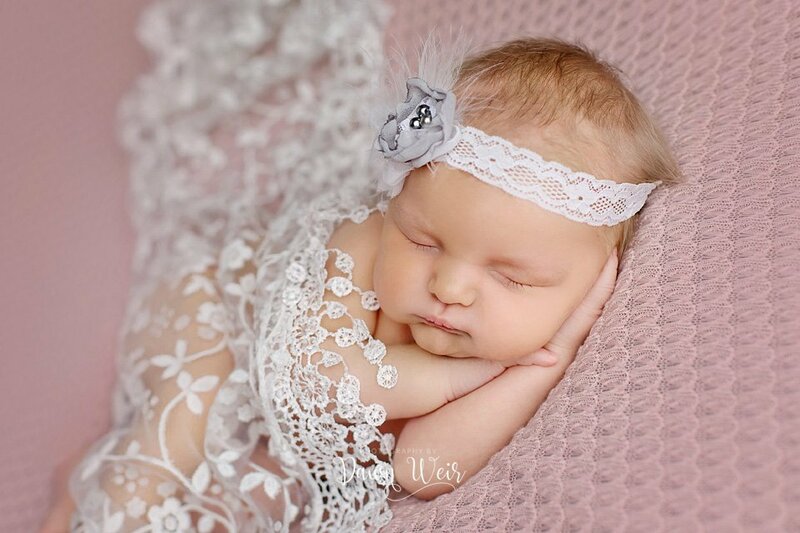 I couldn’t have asked for a better newborn photography session, she was absolutely perfection! 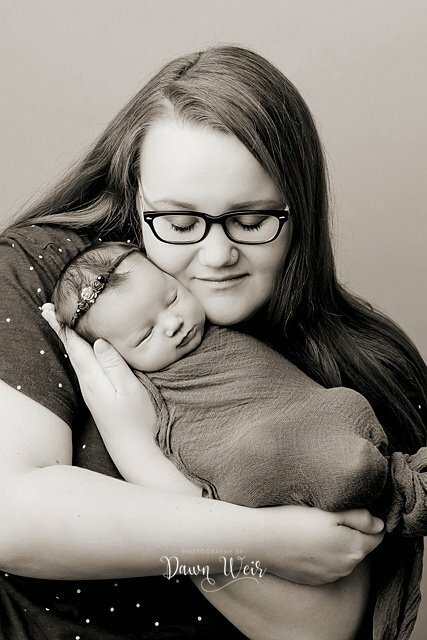 It was so excited to meet Mom when she came to the door with her little peanut in tow, and her sister to keep her company. 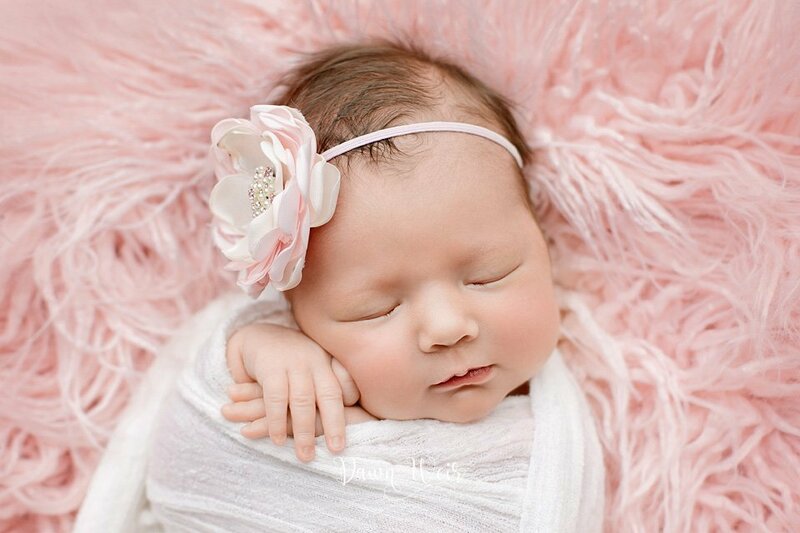 Meet baby Sophie, who is SO PRETTY! 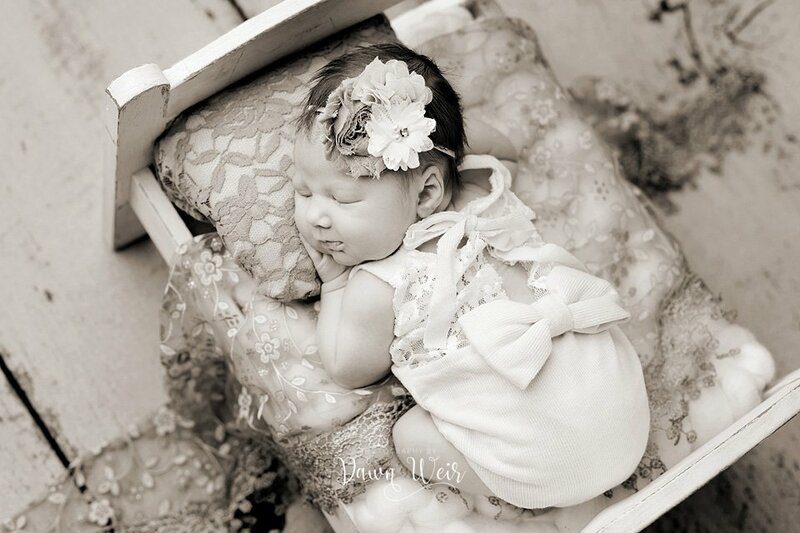 She was all cozy in her car seat, and my heart started pounding with excitement. 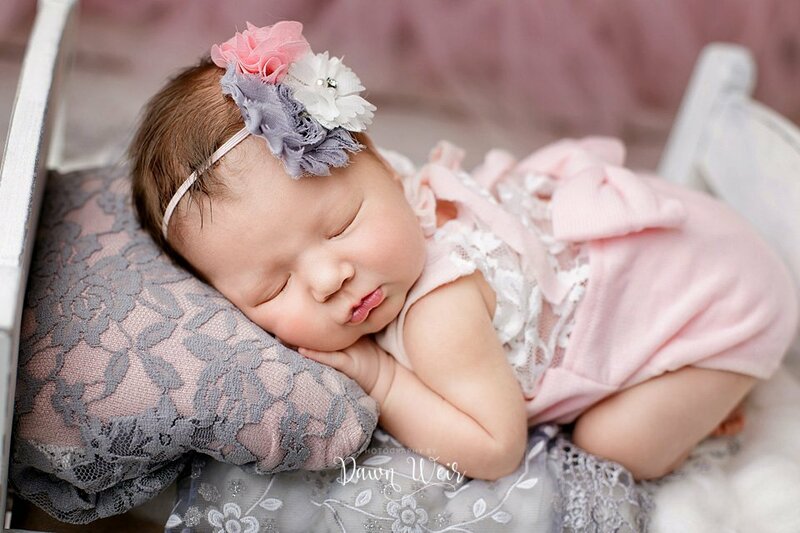 I love her baby cheeks and her head of dark hair, and don’t forget those lips! 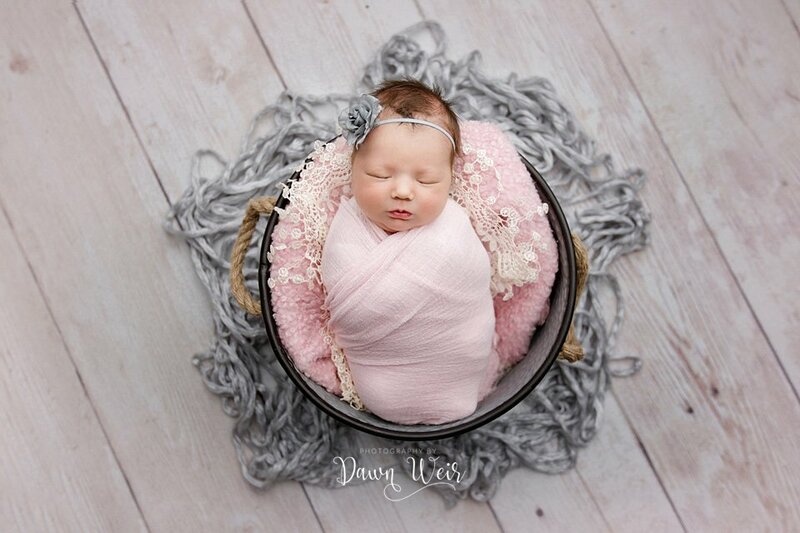 I started by wrapping her up nice and cozy and placing her in this bucket with accents of pink, grey and cream on a wood floor by Intuition Backgrounds (one of my favorites by the way). 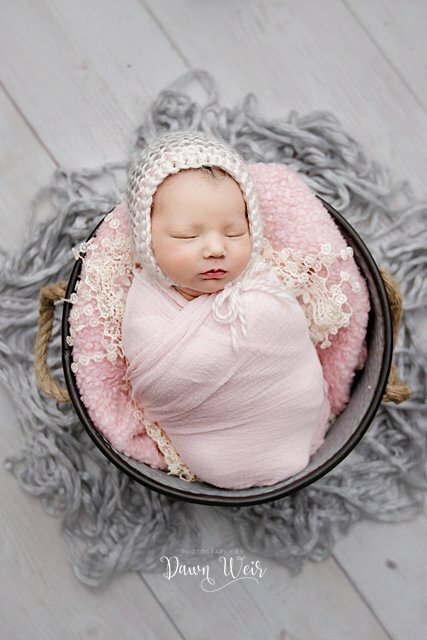 I tend to start my baby photography sessions in a wrap to help baby get comfortable and super sleepy. 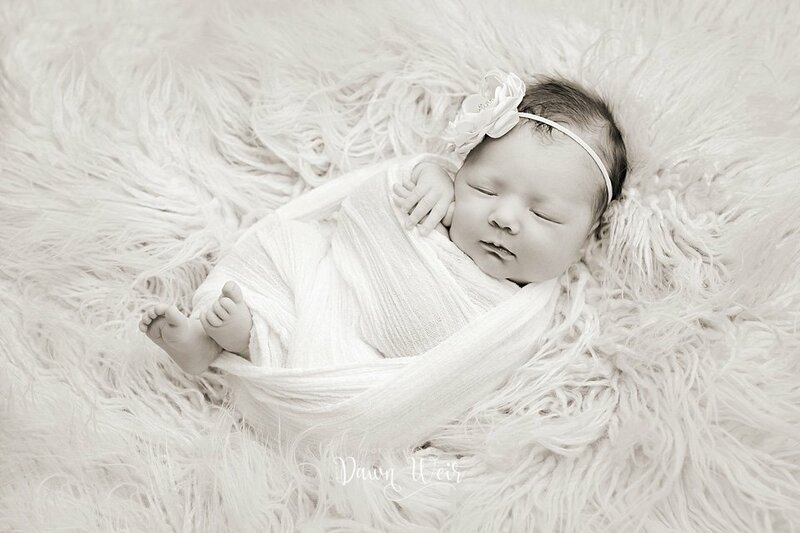 I put her in a white wrap, she loved being swaddled, as well on a pink flokati rug and isn’t she a doll! 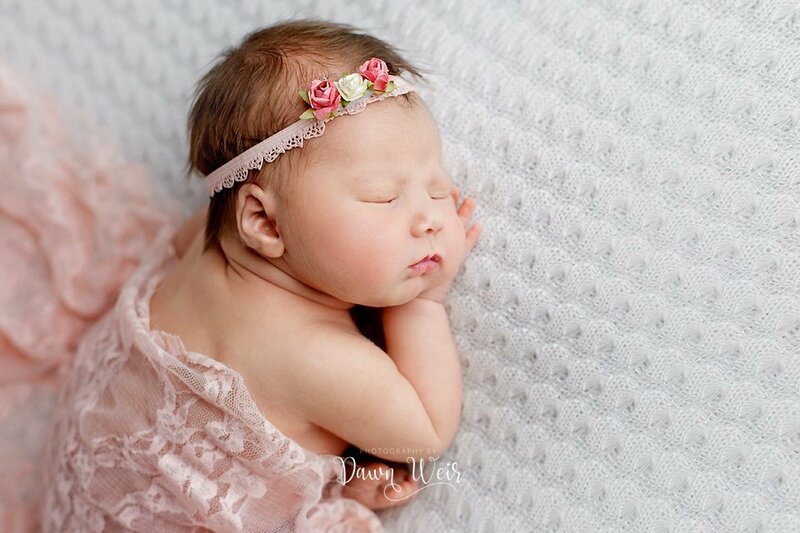 I just love her little hands and fingers by her face. 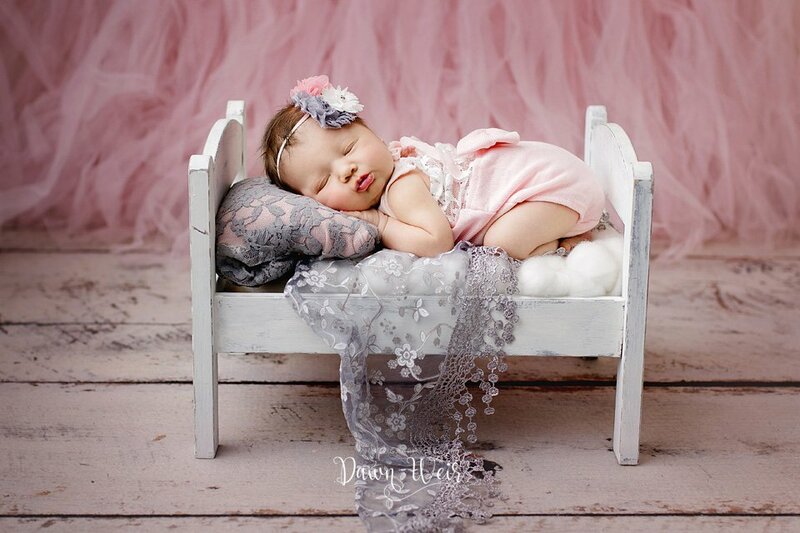 This is why I am a baby photographer, because this is the cutest pose and babies look so peaceful. 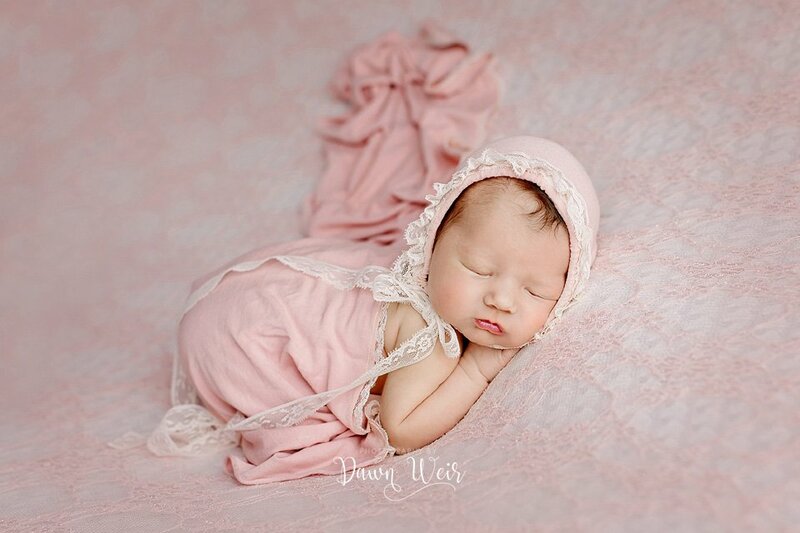 I put Sophie into this cute lace and pink romper and placed her in this baby bed with pink tulle as the background and a wood floor. After my floor work, I moved to the bean bag blanket photos. Sophie did absolutely amazing! She curled up like a champ, could not have asked anymore from her. I love how this shot is black and white, so pure and natural. 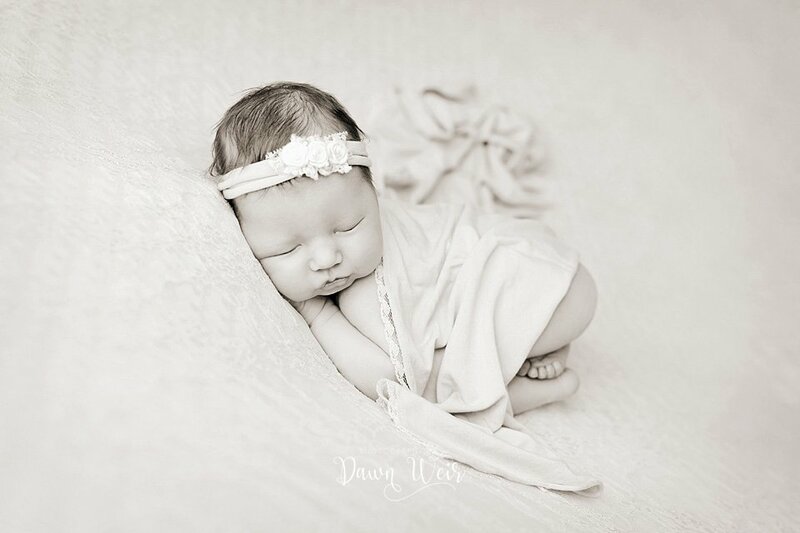 I offer all my clients a set of color and set of black and white of all my newborn sessions so they can enjoy two different looks. 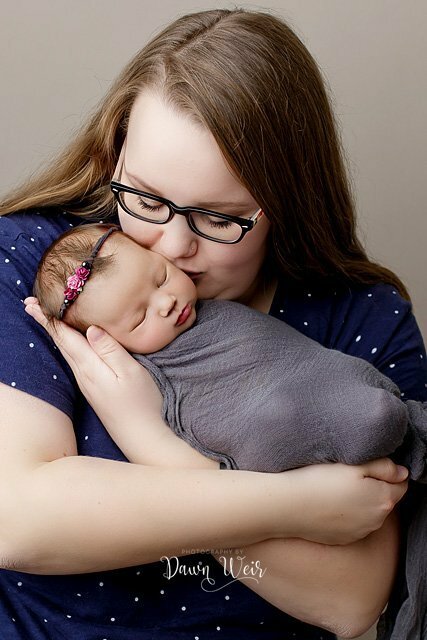 Mom came with the intention of not taking newborn and mom photos, but after a bit of convincing, she decided to let me go ahead, and I am so thankful she did! Just stunning! 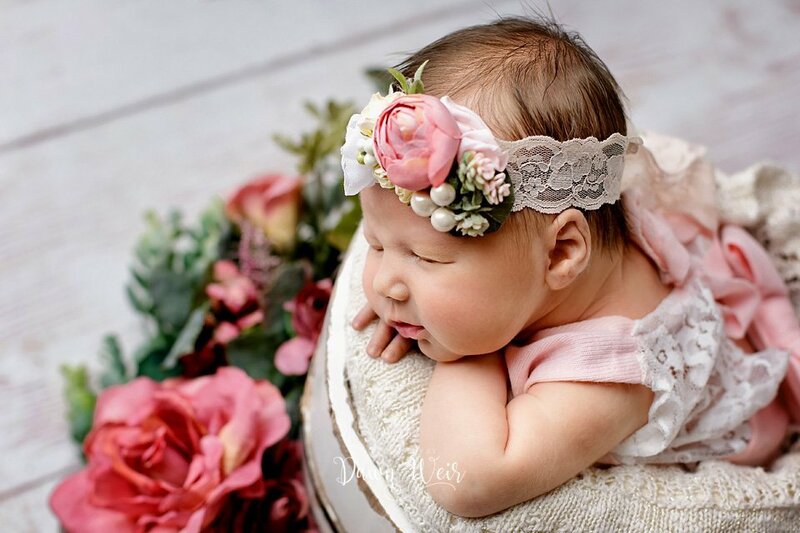 This is one of my favorite photos from the newborn photography session…the side profile…her features just stand out, her eyes, cheeks, nose and lips! 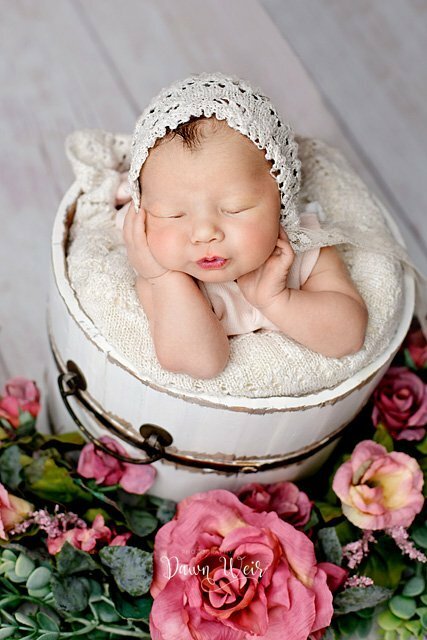 I was adjusting Sophie in the bucket, and she naturally moved into this pose, so I thought why not…it’s pretty cute, don’t you think? 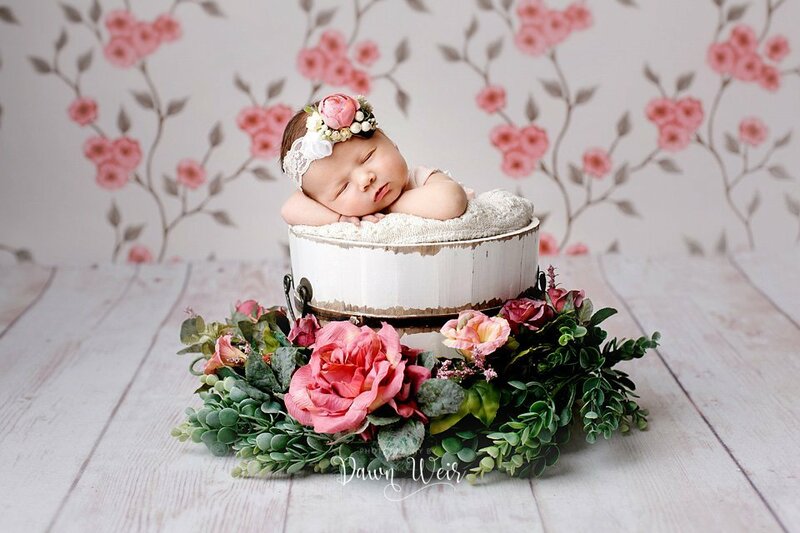 This newborn photo got a lot of likes on facebook…lots of Mom’s were commenting on how they wish they could have more kids! 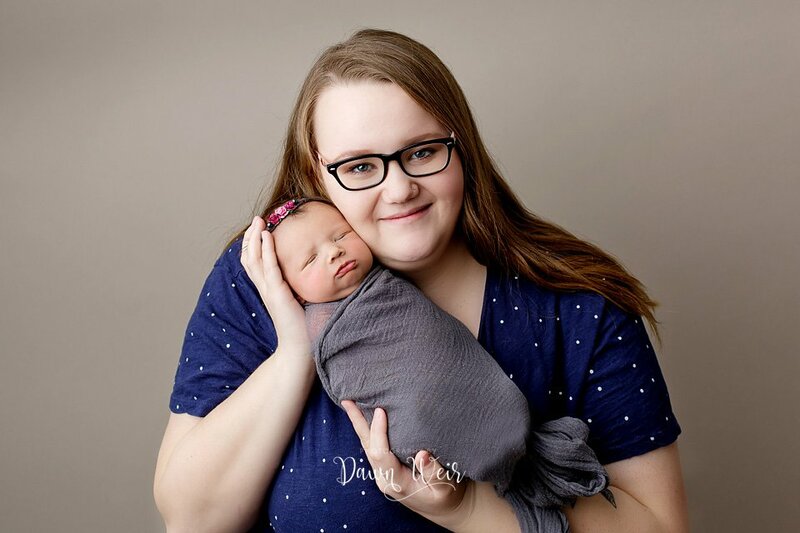 This really sums up my St. Albert Newborn photography style. I love color! 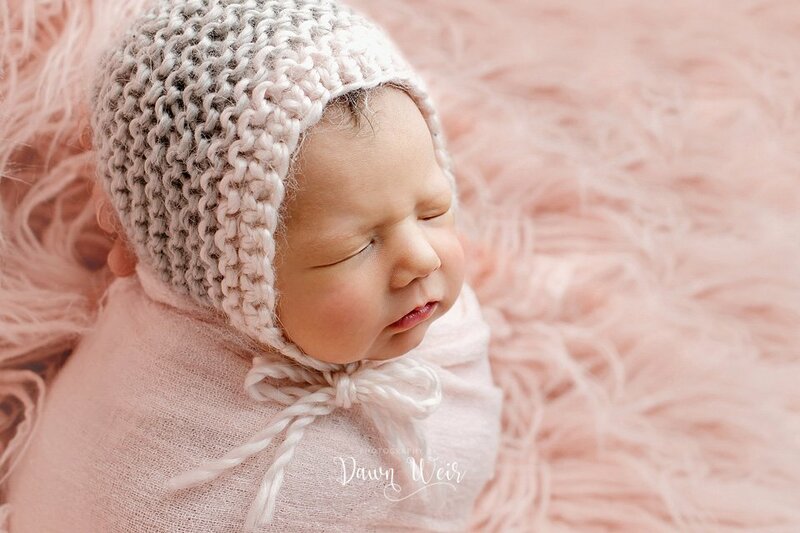 I made this wrap and bonnet…I just love the colors and how innocent little girls look in it. 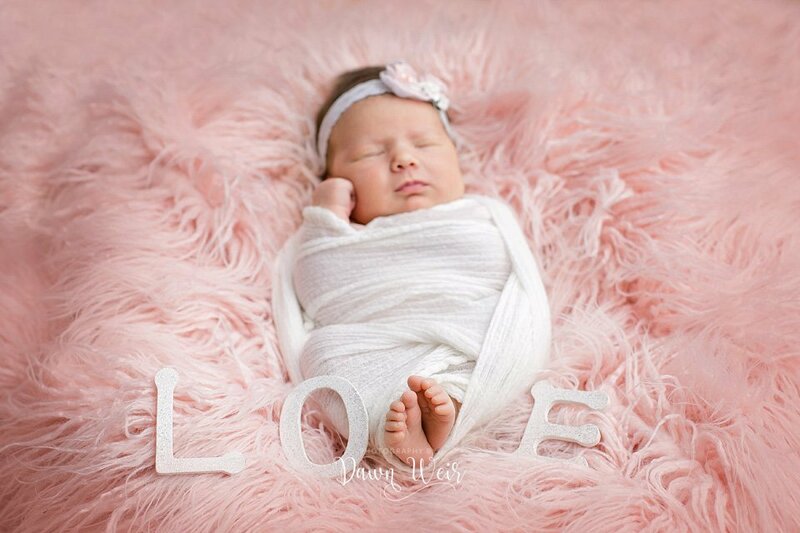 Another one of my favorites from this Edmonton newborn photography session! 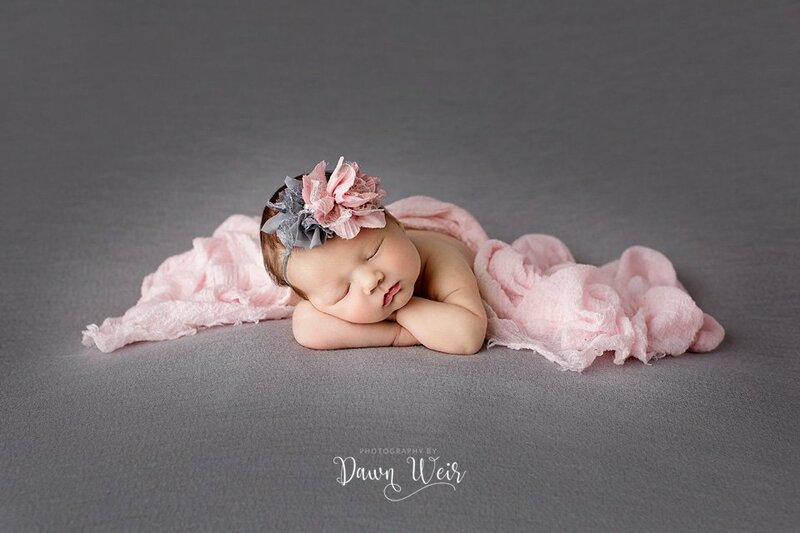 Grey and pink looks so classic!